Clinicians may soon be able to more accurately understand how adalimumab is—or is not—benefitting patients with rheumatoid arthritis (RA). In a new study, a team of Amsterdam-based investigators have presented a drug-tolerant assay that can track tumor necrosis factor (TNF) protein in a patient treated with TNF inhibitors such as the monoclonal antibody adalimumab. While assessing longitudinal samples from patients with RA treated with such drugs, they found that TNF rates actually increased upon treatment in some patients before plateauing over time. The investigators indicated this immunosorbent assay could serve to project early TNF counts as antibody-associated unresponsiveness biomarkers in patients with RA, treated with inhibitors. Representatives of the study did not respond to a request for comment at the time of publication. The chronic disease RA currently affects more than 54 million US adults, and is among the leading causes of disability in the world. TNF, a protein heavily involved in inflammation, is often the target of therapies indicated for RA—though treatment response has historically varied in patients. 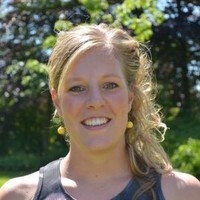 The investigators, led by Lea C. Berkhout, a PhD candidate in the Department of Immunopathology at Sanquin Research, and Landsteiner Laboratory at the Academic Medical Center, University of Amsterdam, developed the competition enzyme-linked assay to quantify TNF among large amounts of TNF inhibitor in patients with RA. The team sought to understand the early dynamics of the protein once faced with adalimumab—as once a patient reaches remission, TNF inhibition is longer necessary for them to retain disease control. Through 193 consecutive tests of adalimumab-treated patients with RA, the investigators reported that circulating TNF increased by an average of >50-fold upon treatment, before reaching a stabilized concentration over time in a majority of patients. Similar TNF increases were observed among 30 healthy volunteers administered a single dose of adalimumab, implying that circulating TNF during TNF inhibitor care is not actually associated with RA disease activity. Through the treatment period, TNF count was aligned with adalimumab administration, and could be recovered as inactive 3:1 treatment-TNF complexes. The team could not find any quantitative association between TNF and adalimumab concentrations. However, they observed low TNF counts in early post-treatment phases were strongly associated with the formation of antidrug antibodies (ADAs), meaning low counts could be a timely predictor of adalimumab treatment nonresponse in patients with RA. Berkhout and colleagues prosed their findings could have implications for patients with RA required to discontinue TNF inhibitor treatment due to an infection or impeding surgery—their patient population was too small to establish an understanding of TNF concentrations and clinical outcomes in patients to have discontinued or prolonged treatment. “One should also keep in mind that although peripheral concentrations of drug and target are supposed to be a good surrogate, concentrations at the site of inflammation might differ,” they wrote. Investigators called for a treatment discontinuation study, featuring a lengthier follow-up period, in order to more closely monitor samples with adalimumab concentrations. For now, they concluded their findings indicate TNF is better served as an early biomarker for future ADA formation—not for eventual treatment discontinuation. The study, "Dynamics of circulating TNF during adalimumab treatment using a drug-tolerant TNF assay," was published online in Science Translational Medicine.